Electrode selection is pretty simple. In most cases you will be using the ER 308L series electrode. If you are welding a higher grade stainless you will then need to consider an ER 316L electrode. Finally the ER 309L is for welding stainless steel to steel. The ER 309L electrode is pretty difficult to weld with and it produces a rough looking weld. The bottom line on selecting electrodes or filler wires is to ask you weld supplier on what to do. They might not be able to weld but they sure know what products to choose and why. Welding of stainless steel is typically done with mixture of Argon and Carbon Dioxide gasses that can be as low as 2% carbon Dioxide to as high as 25% carbon Dioxide. 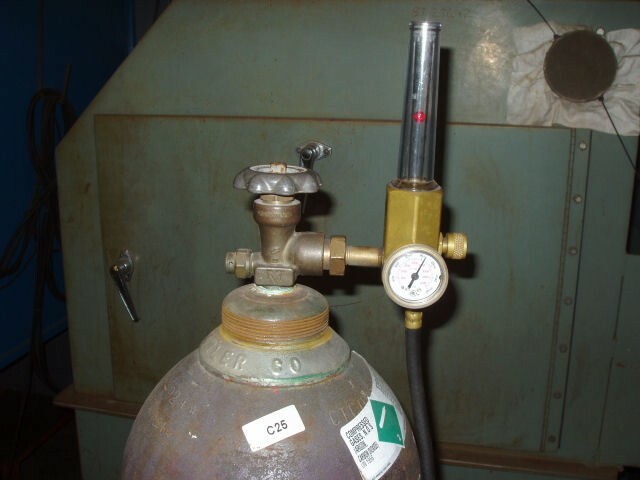 In some cases there is tri-mix shielding gas containing 90% Helium, 7.5% Argon, and 2.5%Carbon dioxide. In most cases the gas used will be C2 or 2% Carbon Dioxide and 98% Argon. When it comes to choosing a shielding gasses and filler wire it is best to ask you welding supply store. They are the ones who know what gasses work best with the base metal and filler wire chosen. Some electrodes have specific shielding gas needs and the manufactures are the ones that keep the welding supply stores up to date on what combinations work best. Stainless Steel MIG weld done with ER308L Weld Wire and C2 gas. As a rule of thumb in most cases it will be a ER308L electrode using a C2 gas mixture. This is what is used in most shops but is not right for every situation. 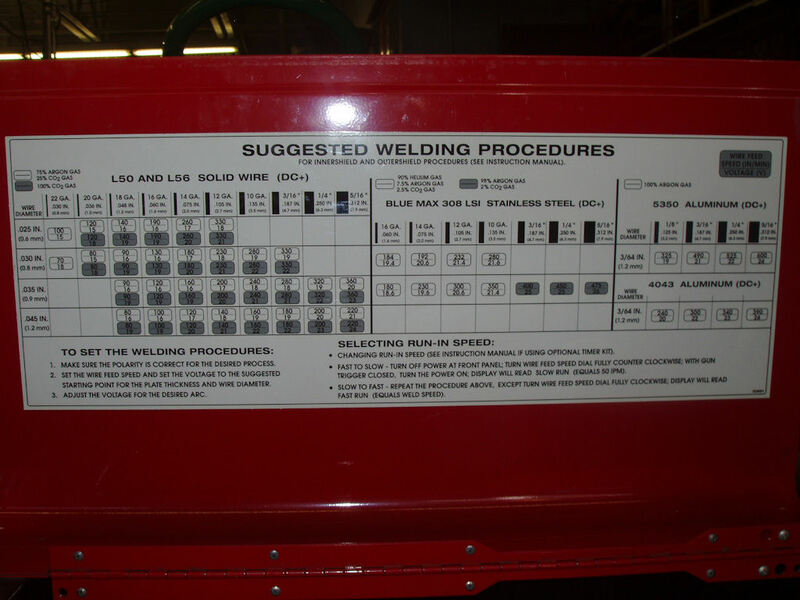 Finally you can also find some information on some welders that have a voltage setting chart. 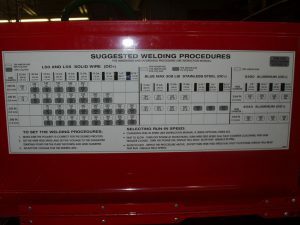 The picture below is from a Lincoln MIG welder and the voltage chart has a suggested stainless steel electrode and gas they recommend for use with this welder. Again it is the ER308 L electrode and the C2 Gas for shielding.